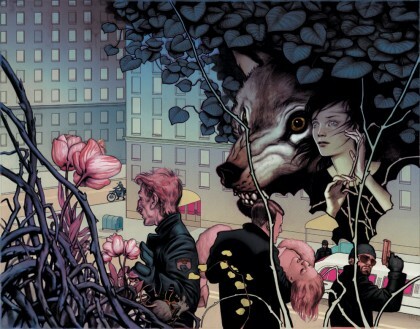 ANDY’S PICK :: FABLES ENCYCLOPEDIA: There are few in fandom as detail oriented and obsessed as the living legend Jess Nevins. He is the man who annotated every single panel from every volume of Alan Moore’s detail oriented work with League of Extraordinary Gentleman Companion (highly recommended!). (Why is that car in the back ground on page 4 panel 2? Whose car is it and what about the license plate?) Once Nevins embarks on a project he never sleeps until all is explained. Now Vertigo and Bill Willingham have unleashed the very hard working and very focused Mr. Nevins on the expansive Fables Universe. 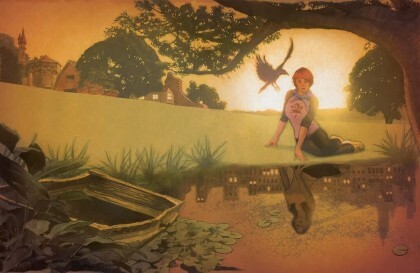 Fables Encyclopedia is just brimming with fun facts and anecdotes about this popular long running VERTIGO series. Trust me, if there is minutiae to mined, Mr. Nevins is our man. This coffee table book features illustrations from cover artists James Jean, Joao Ruas, Adam Hughes, as well as contributions by the regular series art team of Mark Buckingham and Steve Leialoha. Enjoy!! !